Here at Merchant Tree, we know how important it is for you to manage your customer relationships and take payments, all while providing the best possible level of service to the people who keep your business afloat. With both prongs, you stand little chance of building the business of your dreams. At Merchant Tree, we set out to help new and small businesses do just that: create the businesses they want with the best possible payment processing systems. Those systems don’t do much for you, though, if you can’t ensure your customers are satisfied – which is where our credit card processing CRM integration services come in. Your business relies on more than simple sales; you need quality customer relationship management. While each new product or service you sell is a win, you aren’t likely to build a successful empire on the back of one-offs. Instead, you need to nurture your customers and leads over the lifetime of the connection. From the first swipe through the end of the relationship, you must be able to track interactions and transactions, make intelligent decisions based on data, and keep your customers happy. That’s why we offer merchant services CRM integration, allowing us to combine a CRM system with any POS system. This is possible with either an existing system you’re already using, or for a new point of sale credit card processing system that we put in place for you. Integrations which would be exceedingly complex to set up on your own become a breeze, allowing you to take payments easily as well as stay on top of your relationships with each and every customer. Now, rather than having to manage several systems at once, you can enjoy the benefits of multiple capabilities housed under the same application. That means easier access, easier analytics, easier training of your employees, easier reporting and more. At Merchant Tree, we push ourselves constantly to expand our offerings, enrich our services and increase the value of your experience. We use the latest cutting-edge technological features in every POS system, and integrate them with the highest-quality CRM systems around. In so doing, we’ve developed some of the most robust services on the global marketplace, especially when it comes to functional and elegant blending of POS/CRM. 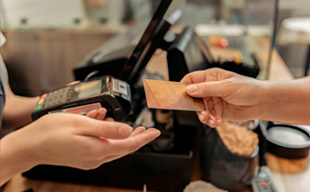 From retail establishments to restaurant chains, we can help you get where you need to go with the ultimate payment processing, tailored to each individual business for maximum effectiveness. If you’d like to find out more about our services and how we can help you, please get in touch with us by calling (800) 610-3922 or contacting us electronically. We look forward to hearing from you and starting our relationship today.